Megyn Kelly: I Live Under Armed Guard Due To Death Threats Incited By Trump's Social Media Director - Joe.My.God. 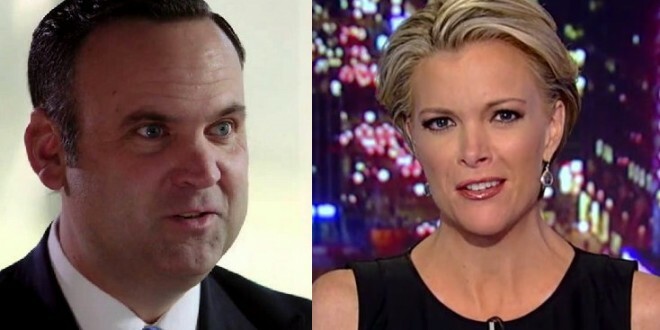 Journalist Megyn Kelly, who is under armed guard after receiving death threats, has accused Donald Trump’s social media director of stirring hatred on the internet. The Fox News host urged Dan Scavino, a member of the presidential transition team’s leadership staff, to stop encouraging hostile and abusive elements online. Scavino was director of social media for Trump’s bitterly divisive election campaign. He is devoutly loyal to the billionaire businessman who reportedly first spotted him as a 16-year-old cleaning golf clubs, got him to caddie and eventually promoted him to general manager at one of his courses. Now in his 40s, Scavino has speculated that he might become the White House photographer or run its Twitter account. 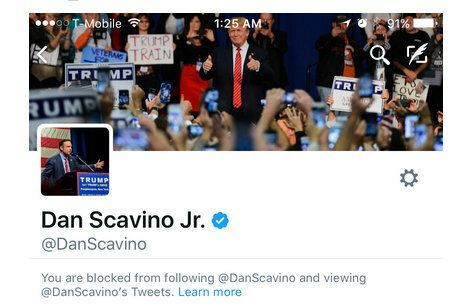 As you can see, Scavino can’t handle any criticism aimed at him.